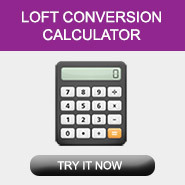 These days many home owners are choosing to convert their lofts and/or ad extensions to their homes instead of moving house. With a lot of the housing stock in and around Sunderland being Victorian or Edwardian they tend to have large lofts that are ideal for converting into new bedrooms, offices or playrooms. Norcroft has been completing loft conversions in Sunderland and the North East since 2002 so we have vast experience in loft conversion whatever you requirements. Most dormer loft conversion in Sunderland would not require planning permission. Since 2008 most Hip to Gable loft Conversions in Sunderland would not require planning permission. If you need a loft conversion in Sunderland or the North East get in touch for a free no obligation quote.